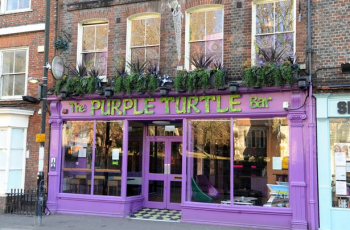 The Turtle is legend in Reading and has been around for 20 years now, the late night bar with atmosphere and a great vibe every night of the week. The main bar for drinking and picking your own music from the largest selection of Jukebox music in the UK including every number one hit over four decades, not forgetting Rock indie Karaoke every Monday. Go to the basement to hear the underground sounds from Reading's best DJ crews. Hip Hop, Reggae, Drum n Bass, Electro, Metal. The garden is heated and covered for all you smokers out there.....give The Turtle a look and you won't be disappointed. Reading's busiest venue for a reason, you pick yours. Did we forget to add all that and more for FREE every night of the week - closes 3am weekdays, 4am weekends. Exclusive deals for everyone pre 10pm every night.